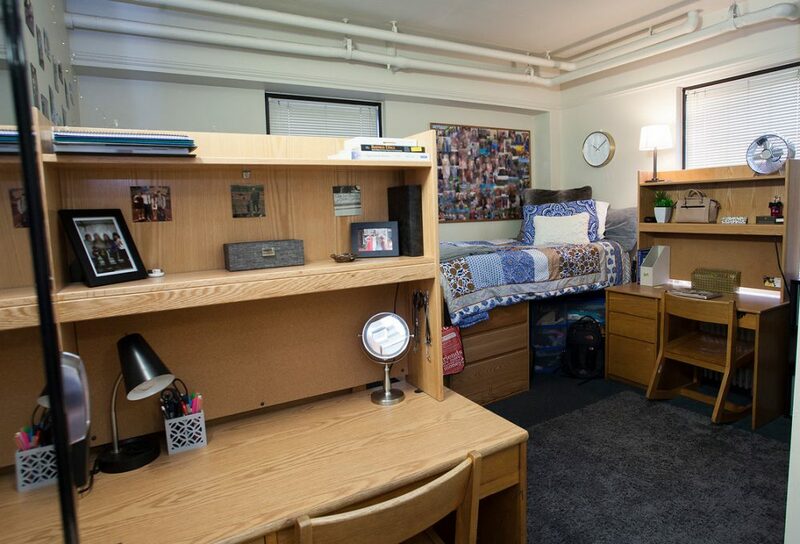 Incoming Pitt Business freshmen have the opportunity to live in a recently renovated residence hall dedicated exclusively to business students that offers all the amenities of suite-style living. Bruce Hall, centrally located between Fifth and Forbes avenues and a 2 minute walk to Sennott Square, gives Pitt Business freshmen the unique experience of living and learning alongside peers who are taking many of the same classes. 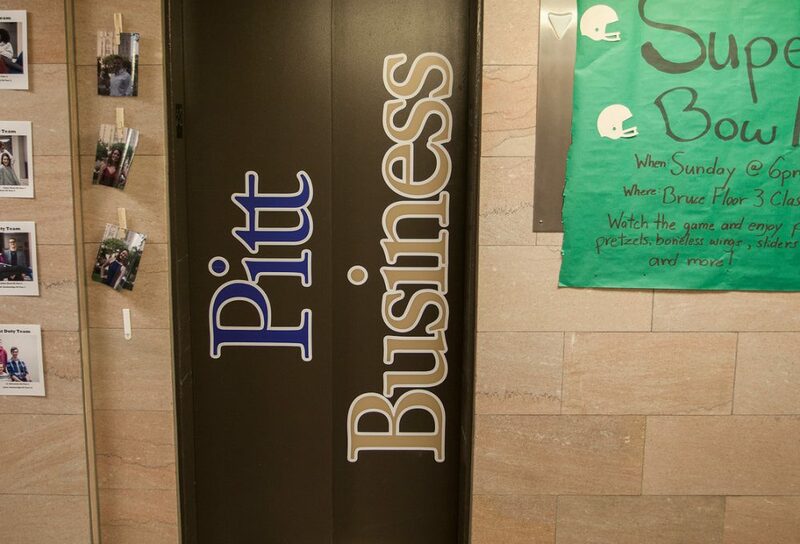 Residents can get the jump on their business by making immediate connections with Pitt Business faculty, advisors, staff, and fellow students. What is the Pitt Business Living Learning Community? Imagine your move-in day at Pitt. Wouldn’t it be cool to be surrounded by other students all planning to study business? Some students would be excited, some would be tentative – but they would all share something in common; they are all freshmen in Pitt Business. That’s the idea behind the Pitt Business Living Learning Community. Our community is about making fast friends, taking a few introductory business classes together, getting involved in student organizations and service projects, and overall having a great freshman year at Pitt! Check out our Pitt Business LLC FAQ for more details on the program. 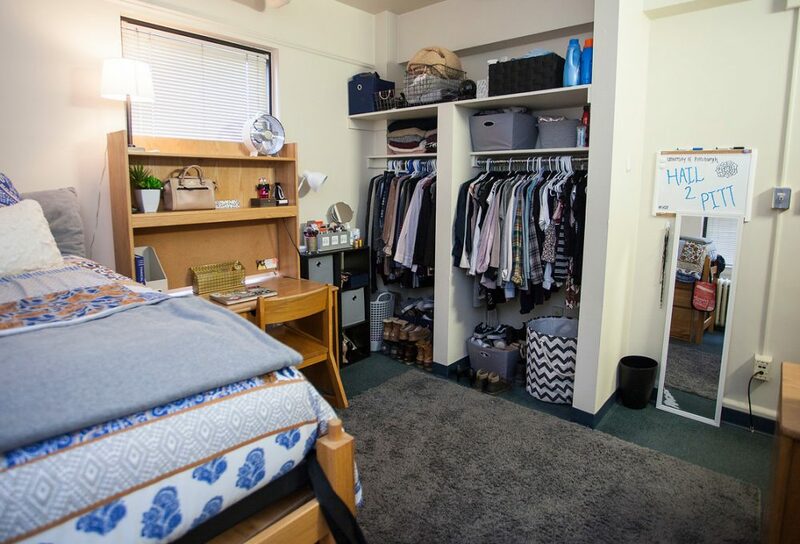 Pitt Business students have the opportunity to live in business Living Learning Communities, starting as a freshman in Bruce Hall. 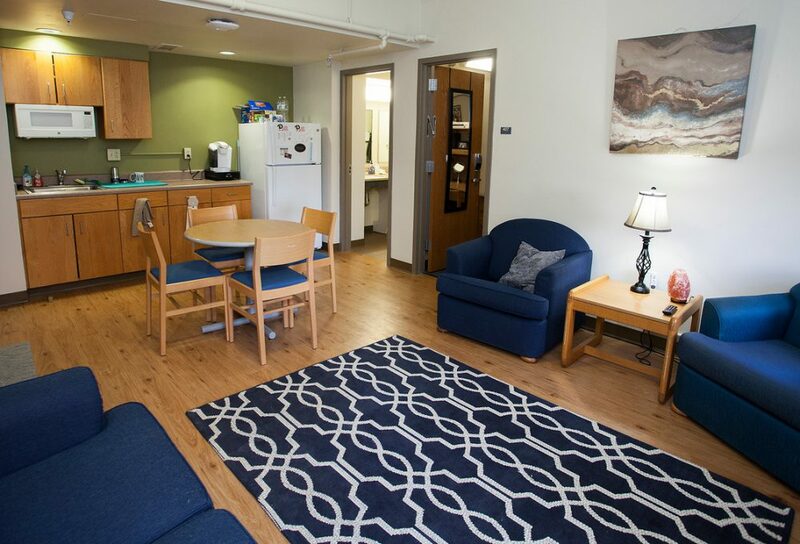 This unique residence hall experience opens up early career pathways where students can take advantage of the City of Pittsburgh and also leads to a rich social life through interactions with business classmates. 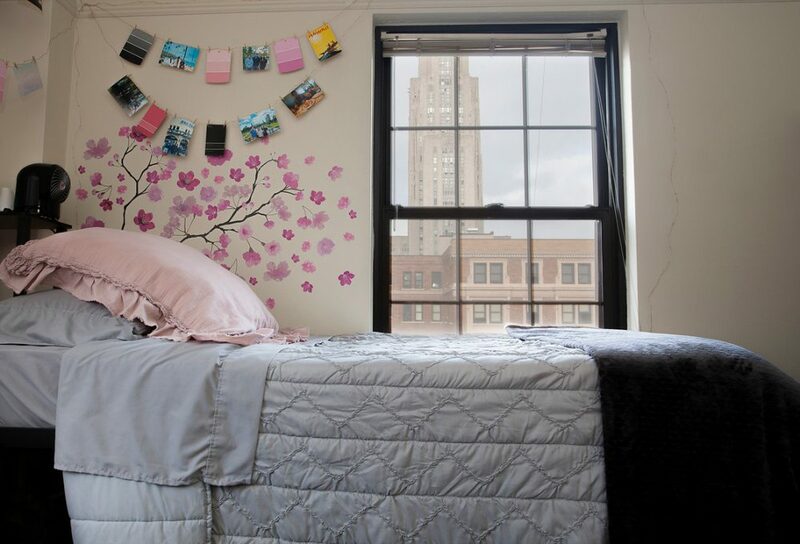 Living in Bruce Hall, you get the best of both worlds: you experience the thrill and challenges of being a college freshman with your present and future business classmates, but you have plenty of opportunities all around campus to meet students studying everything imaginable at the University of Pittsburgh. What have the business students in Bruce Hall done this year? Orientation Week site visits to PNC Financial Services, Grant Thornton, Northwestern Mutual, Aldi, Target, and more! 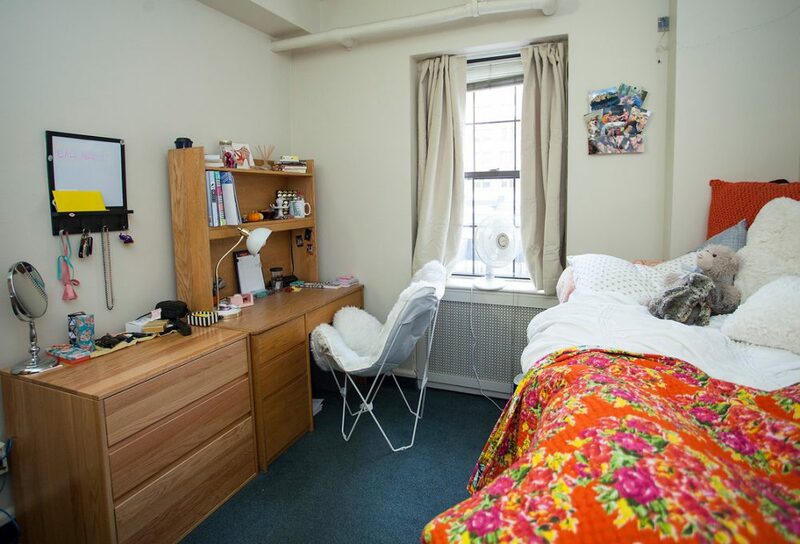 Bruce Hall features space for classroom lectures, events, and projects, which mean that beyond simply living together, Bruce Hall residents, will take part in activities that enrich their freshman year. 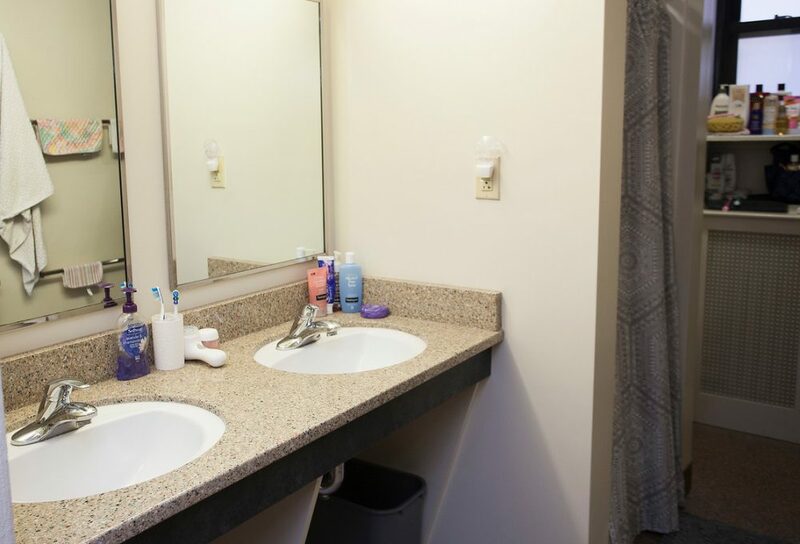 Suites include a common room, bedrooms, a private bathroom, and a kitchenette. 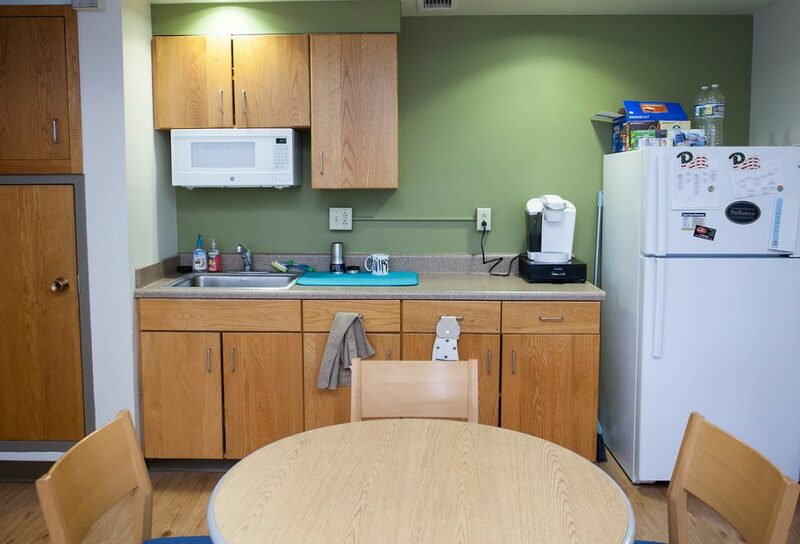 There are laundry facilities on each floor. 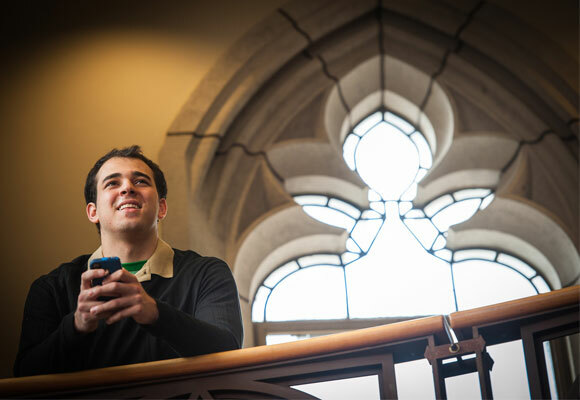 Brackenridge Hall is the home of a Living Learning Community for Pitt Business upperclassman. 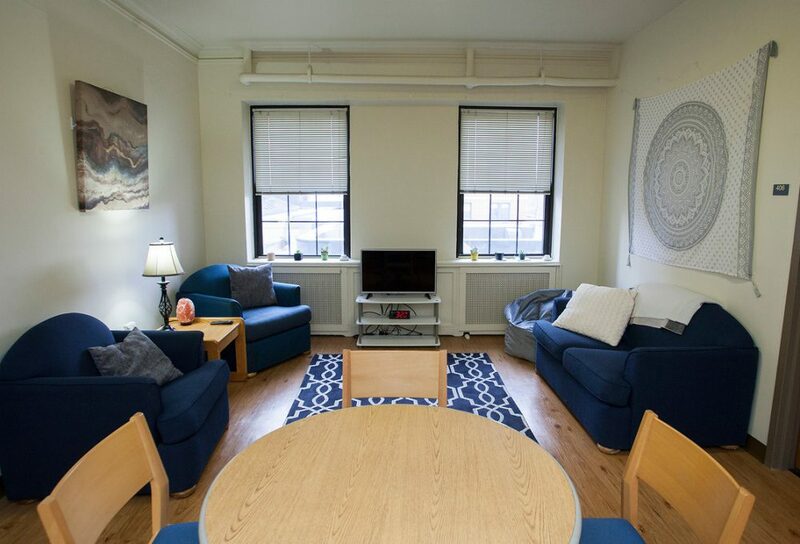 The residence hall is an opportunity for students to continue the experiences of the Bruce Hall LLC, where they will again take many of the same business classes, engage in similar student groups, and go on an educational journey from the classroom, to the city, to the world. The application process will begin through the Office of Housing in early spring and housing assignments will be given out later that same spring semester. Questions? Contact Pitt Business LLC Housing at cbahousing@katz.pitt.edu. Today’s organizations want to hire enterprising leaders — people with the imagination and initiative to not only make products and services better but also to dream up new opportunities for progress and change. 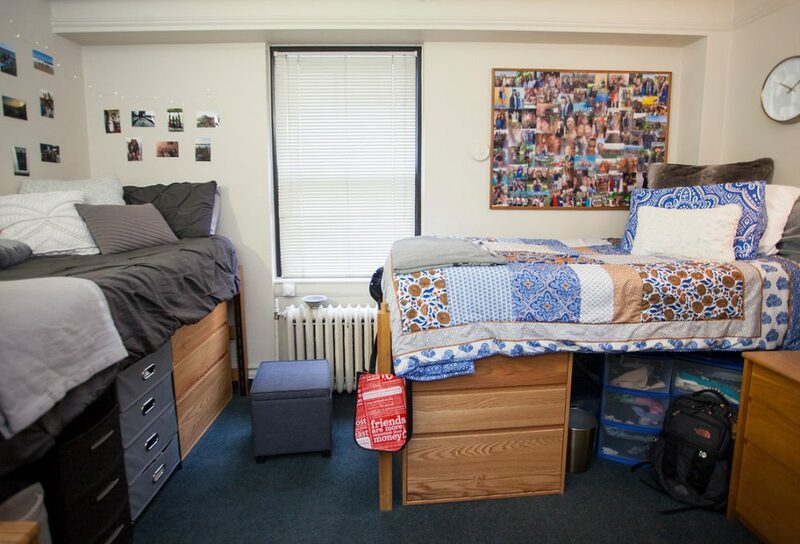 University of Pittsburgh freshmen from all academic backgrounds who want to further their skills in the areas of innovation, discovery, and transformation should consider living in the Innovation and Entrepreneurship Living Learning Community (LLC) residence hall. 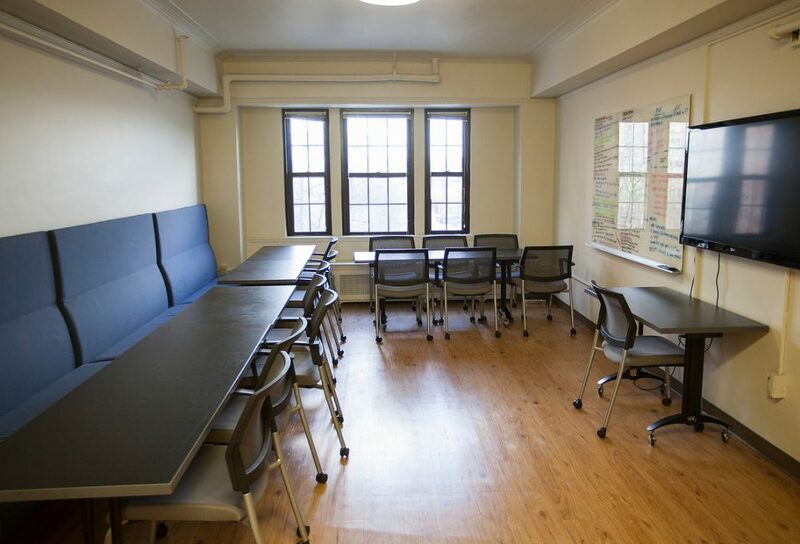 Unlike a traditional college residence hall, the Innovation and Entrepreneurship LLC functions like a think tank, where students with diverse skill sets room together and receive a hands-on education in innovation and entrepreneurship. As residents, students will work with both faculty members and experienced industry professionals on learning workshops, extracurricular projects, and competitions. The experience will help students to develop into enterprising leaders who will build the economy of the future, one idea and one new venture at a time. Describe an entrepreneurial activity in which you played a major role. Describe a situation in which you took a risk that was beyond your comfort zone. Describe a situation in which you failed. How did you recover from that failure? Applicants must also submit a two-minute video that describes why they should be selected for the Innovation and Entrepreneurship LLC. Please contact Philip Badaszewski, Assistant Director of Residence Life and Academic Initiatives, at 412-648-1200 or via email at pdb19@pitt.edu with any questions.